'Trust us, we've done this before' is the message coming out of Nintendo today, in response to the recent struggles which has seen the Wii U shift just 160,000 units in 3 months as well as report its first ever operating loss. In its latest annual report, the company has attempted to put a positive spin on the conversation, by recounting its successes over the course of a rich 30-year history and pledging a swift return to "Nintendo-like" profits. The nostalgia-soaked, 39 page documents pointed out Nintendo has sold 269 million consoles and 385 million handhelds to date, with software sales at 2.195 billion and 1.907 billion respectively. Not bad. In a statement, Nintendo president Satoru Iwata promised the company would 'pleasantly surprise' people with its new and unique software experiences for the Nintendo Wii U and 3DS console in the next year. He said: "Nintendo posted an operating loss for the fiscal year ended March 31, 2013. However, we strive to regain "Nintendo-like" profits for the fiscal year ending March 31, 2014 by providing many people with fascinating games and services. "We continue to make brand-new and unique proposals, and make efforts for the growth of the home entertainment industry with a mission that is to pleasantly surprise people and put smiles on the faces of everyone Nintendo touches." 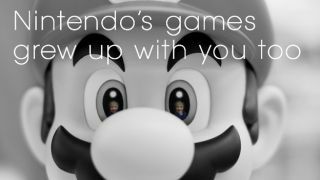 Can Nintendo really put the smiles on enough faces to recapture its glory days, or have the company's well-documented Wii U missteps placed the company on the gaming periphery forevermore? Next: Is poor, old Mario super enough to save Nintendo?